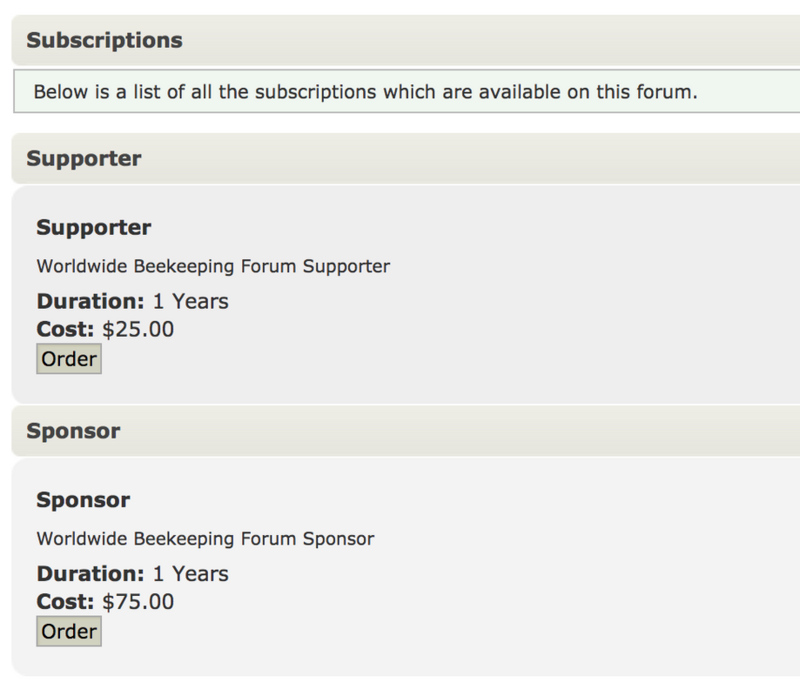 Worldwide Beekeeping is a member supported forum. We incur costs associated with the operation and maintenance of the website and a 'free' forum for all to benefit from and want to keep it 'free'. We have avoided the "in your face" annoying ads as a revenue source so far and hope to continue to. We rely on the generosity of our members to help us pay those bills and keep our forum alive and growing strong. Member support provides our forum the financial resources to do so. Without financial support we would not have this great forum and community. Help us keep it going! If you feel that the forum has been beneficial to you, we hope you will consider making a contribution. While all contributions towards the upkeep and maintenance of the forum are voluntary, and greatly appreciated, the team has discussed someway of publicly acknowledging those that do. With that in mind we have decided to offer those that choose to make a financial contribution two levels of support that will be displayed with their profile. There is no obligation whatsoever and it is completely optional. Those wishing to instead contribute by continuing to share information, friendship, and knowledge on the forum are also appreciated. Ad requirements and templates can be found here. Please PM with Admin if you need help. 1) Subscribe through your profile settings if you want your profile to identify you as a contributor and you want your PM mailbox increased. 2) Use PayPal button if you do not want it identified in your profile, what to contribute a different amount, or want to contribute more than once a year. 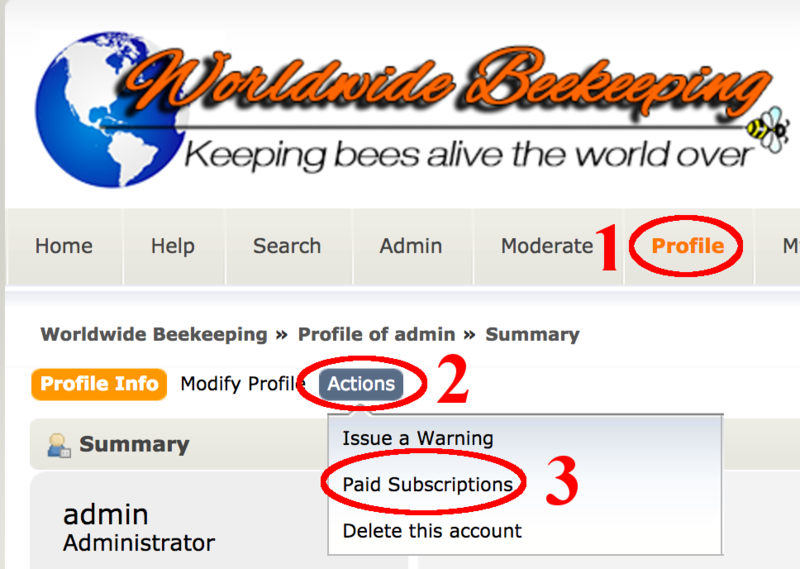 You can sign up in your profile settings and payments will be processed through PayPal. Note:This is a subscription and will automatically renew each year unless you cancel through your PayPal account. Will it be possible to support the forum and NOT have the stars displayed on the profile ? Last line in the post above. "If you would like to make a contribution in another amount, in addition to a subscription, or do not want your contribution identified in your profile, please use the button below." I'll let someone with competent computer skills tackle that for ya Nugget. I did mine and was quickly reminded how much the difference in our dollars is! I added it for you, however by not using the subscribe feature you will not get a reminder email when it expires, it will just disappear. Have always tried to support this place, WILL be doing so again. Money well spent!